This entry was posted on October 17, 2010 by iheartfilm. 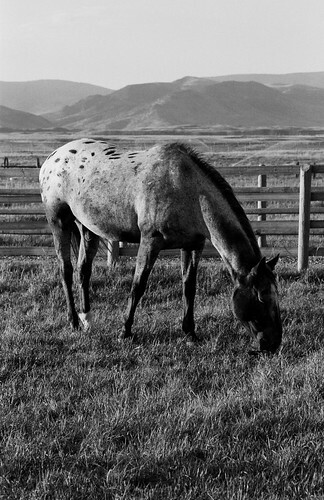 It was filed under Black and White, Horses, Ilford Delta 400, Landscape and was tagged with Black and White, film, horses, Ilford Delta 400, Landscape, montana, nikon f100, noritsu koki, paradise valley, photography. he really seems alert in the first shot, and then he settles down in the second. once again, fabulous job, chris. Great shots! I like the last in particular, the black and white really brings out the details in the texture. Great captures. 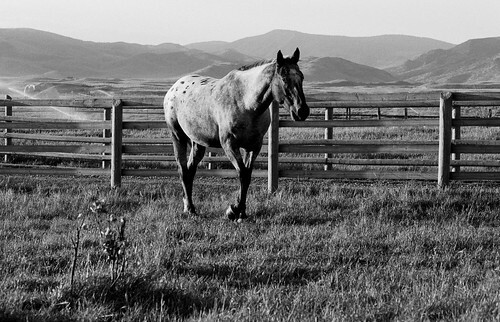 I love the first pic of the horse – worth getting it framed and on a wall!